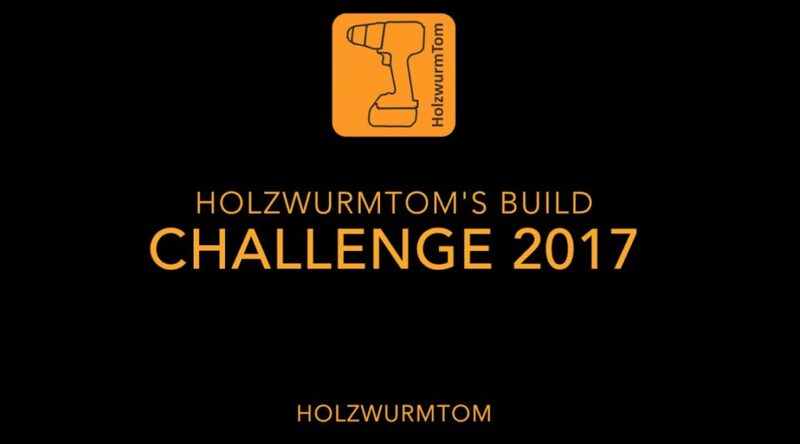 Our fellow community admin Thomas (HolzwurmTom) hosted a build challenge again this year (#holzwurmtomchallenge2017). The task was to build a lamp with LEDs. All the projects are in and many of the people who built something are members of our community. So go over to his blog post where he collected all the videos and watch the creative and original lamps that were built in the course of this challenge. The variety and creative woodworking on display here is amazing! You can also vote for your favourite project of the challenge. To do that, go to the home page of this blog and find the voting tool on the right. Voting will be open until midnight on 17.06.2017. 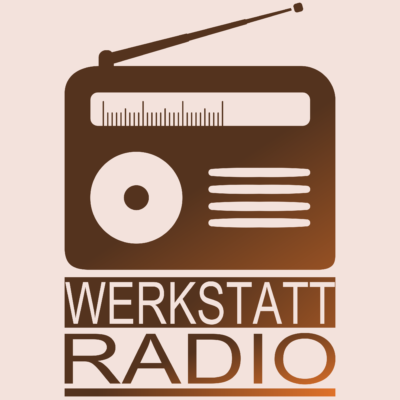 War eine echt tolle Challenge, mit echt tollen Beiträgen! 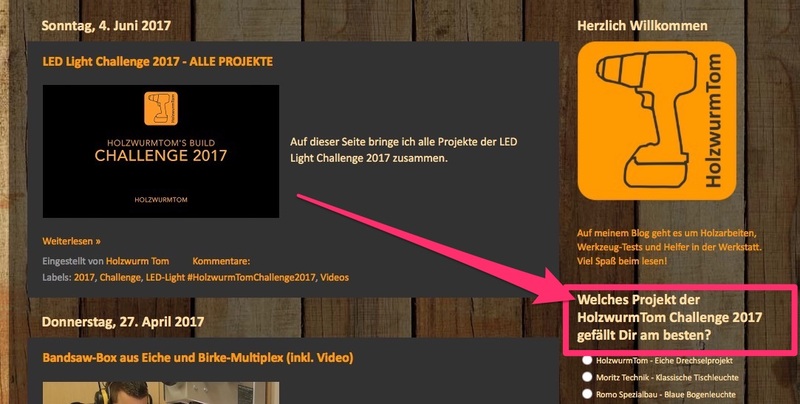 Freue mich schon jetzt auch die nächste Challenge!